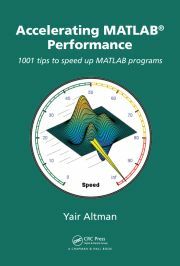 A while ago I posted the first of my planned miniseries on the Matlab toolstrip (ribbon). 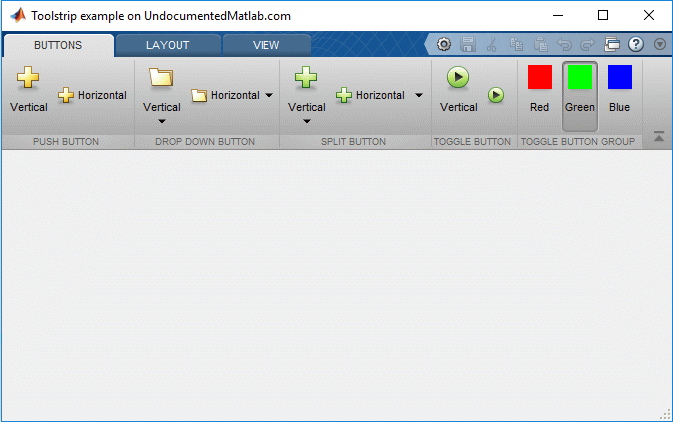 Today I will expand that post by discussing how toolstrips can be added to Matlab GUIs. This post will remain at a high-level as the previous post, with followup posts drilling into the technical details of the toolstrip components (inner packages and classes). Most Matlab users are familiar with window types #1 and #3 (legacy and web-based figures), but type #2 may seem strange. In fact, it shouldn’t be: All the Matlab “Apps” and Desktop components use such a container of docked clients. For example, both the Matlab Editor and Desktop are containers of individual client windows (individual files in the Editor; Command Window, Workspace etc. in the desktop). Similarly, when we dock figures, they dock as client windows into a container called “Figures” (this can be controlled programmatically: see my setFigDockGroup utility on the File Exchange). This is the basis for all Matlab “Apps”, as far as I am aware (some Apps may possibly use a different GUI container, after all there are ~100 Matlab Apps and I’m not familiar with all of them). Such Apps are basically stand-alone Tool Groups (client container windows) that contain one or more docked figures, a toolstrip, and a side-panel with controls (so-called “Data Browser”). Note: MathWorks uses confusing terminology here, using the same term “App” for both MathWorks-created GUIs containers (that have toolstrips, Data Browser and docked figures) and also user-created utilities on the File Exchange (that do not have these). Unfortunately, MathWorks has chosen not [yet] to release to the general public its set of tools that enable creating true “Apps”, i.e. those that have a toolstrip, Data Browser and docked figures. Today’s post will attempt to fill this gap, by showing how we can create user Apps that have a toolstrip and docked figures. I will ignore the Data Browser today, and will describe it in a future post. Since docking figures into a standalone user-created container is a solved problem (using my setFigDockGroup utility), this post will focus on adding a toolstrip to such a container. internal.setJavaCustomData is an undocumented Matlab function that adds a new custom property to a Java reference handle. In our case, it adds a CustomData property to the jToolGroup handle and sets its value to the Matlab hToolGroup handle. The source code for internal.setJavaCustomData is available in %matlabroot%/toolbox/shared/controllib/general/+internal/setJavaCustomData.m and is very simple: it essentially uses the old schema-based schema.prop method for adding new properties to handles. Schema is an old deprecated mechanism that is mostly replaced by the newer MCOS (Matlab Class Object System), but for some specific cases such as this it’s still very useful (the standard addprop function can add new properties to Matlab GUI handles, but not to Java reference handles). In this example, the “Selection” and “Values” toolstrip tabs only appear when the 2nd figure (“2D”) has focus. A similar behavior exists in the Matlab Desktop and Editor, where some tabs are only shown when certain clients have focus. Thanks for your introduction of this toolstrip. if this toolstrip can be deploy as a standalone application, it will be amazing. it is success to deploy the ToolGroupApp.exe (save all your commands as ToolGroupApp.m and ‘mcc -m ToolGroupApp’), but when running it, the two figures will jump out as two windows, not dock as two cilents in the toolgroup. is it possible to solve this problem, so that the wonderful toolstrip can demploy as a exe with beatuiful user interface? @Henry – for some unknown reason, MathWorks have chosen to intentionally prevent figure docking in compiled applications. 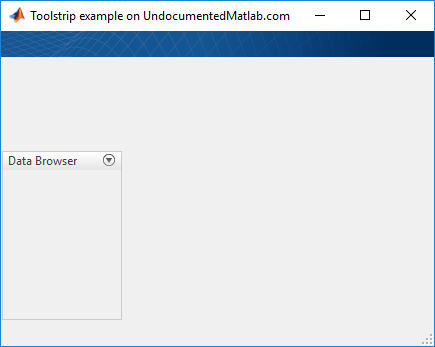 There used to be a workaround for this, but it is no longer working (in other words, MathWorks have closed the loophole) in recent Matlab releases. Thanks for your answer. Maybe MATHWORKS want to prevent their own APPs in the matlab. If they can be deployed, all the Apps can be used without license. But it is very pity, otherwise, matlab can build very wonderful apps to users. Everything works fine after that. @Tanguy – thanks for the typo correction, now fixed. how can we set a specific initial view model? For example, I want to plot step resp. and impulse resp. together in one window (as we have “left/right” in the view tab). Arash Marashian (12 days 11 hours ago): Problem Solved. I found out that my version does not have this icon. thanks. Marshall (13 days 14 hours ago): This was a fun puzzle–don’t hesitate to add more posts like these if you come across some other fun ones! Reza (13 days 20 hours ago): I have the same problem. this Java widget got error in compiling via Matlab 2018! Could you please show me how to solve this? GGa (15 days 14 hours ago): There isn’t anything “outside the UTF-8 range”. UTF-8 can represent any Unicode character, as far as I know.